Are you a reader of grocery labels like I am? Do you take forever to pick out your groceries and haul them home? I hear ya. 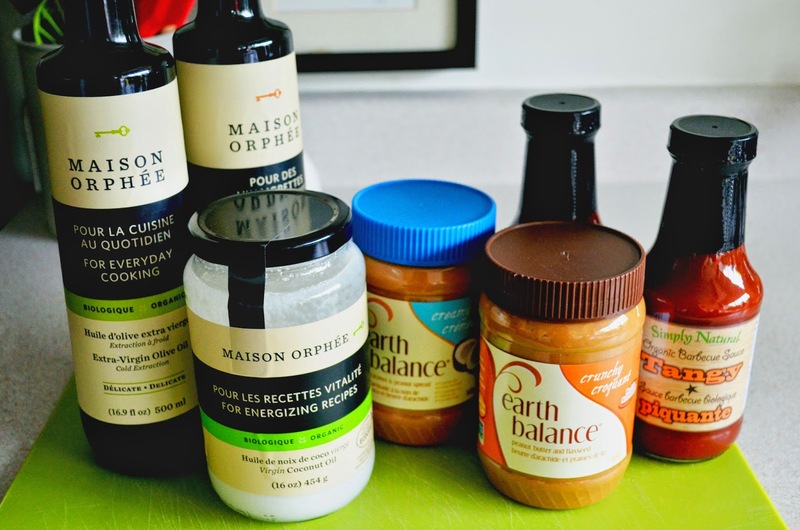 I like to know every ingredient that's in my grocery picks (and check the expiry date too!). I spend most of my grocery shopping time in the produce section - I know that any fruit or vegetable is a solid choice for good health. My next stop is usually the health food/organic section of the store. This is where I look for healthy refrigerated and dry goods options such as my favourite kamut udon noodles, organic ketchup, organic dry lentils and healthier cereals. If I happen to see the Healthy Shopper coupon book while I'm in the natural health section or at the health food store, that's all the better. The coupon book provides shoppers with savings on the natural and organic products that we like best. Recently I received the Healthy Shopper product picks for spring 2014. Selected by the Healthy Shopper founders Randy Boyer and Andrea Donsky, these products are healthier alternatives to some of the everyday items you find in the grocery store. In our house, we go through tons of peanut butter - we use it on toast, in sandwiches and for making cookies and granola bars. 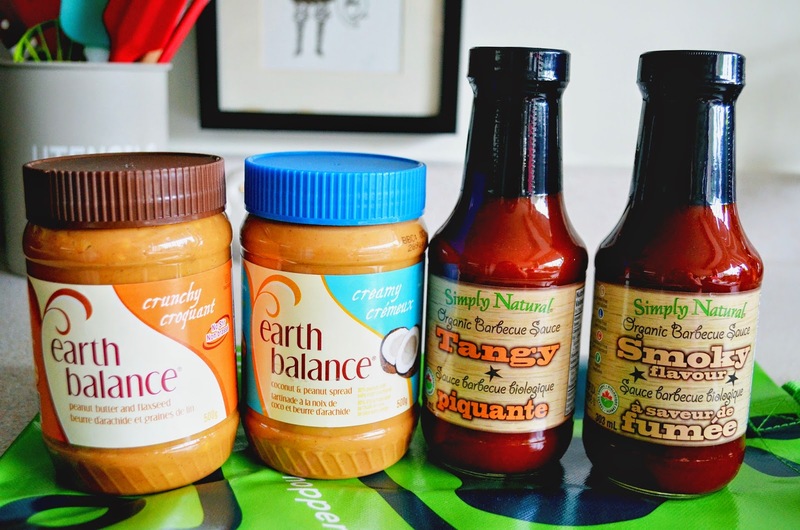 Earth Balance, the makers of my favourite vegan buttery spread, also make a variety of peanut butters, including coconut oil and peanut butter blends. All Earth Balance products are plant-based, vegan and made without artificial ingredients and hydrogenated oils. They are also free of gluten so they are a great option for people with food sensitivities. I am a big fan of Simply Natural ketchup, so I was thrilled to get some of their certified organic barbecue sauces, available in tangy and smoky flavours. All Simply Natural products are made without preservatives, chemical additives, food colouring, irradiation or genetically modified ingredients. We tend to use a lot of extra virgin olive oil around here. 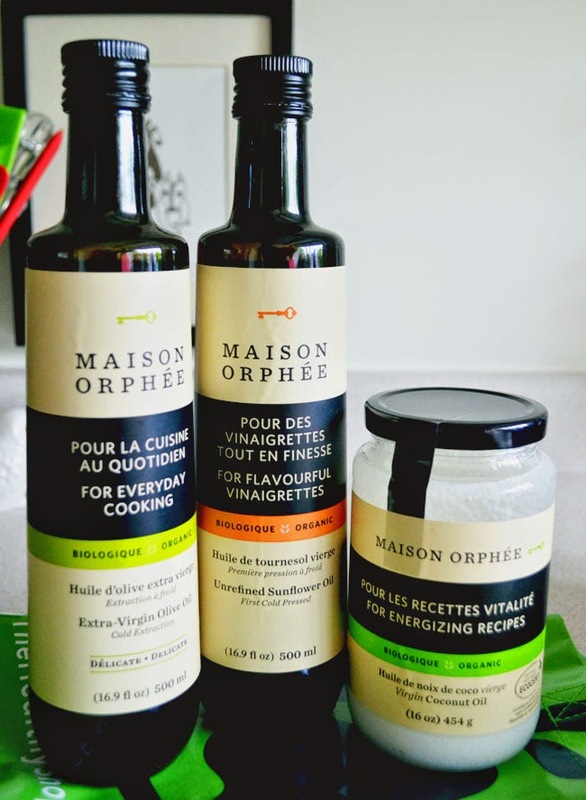 So I was pleased to sample Maison Orphée's organic, cold-extracted extra virgin olive oil. But I'm also conscious now that there are times when EVOO might not be the best option (like when super high heat is called for). In any case, I think variety is always best when it comes to healthy eating. So I try to switch up my oils depending on what I'm making. For baked goods that benefit from a coconut flavour, I often use coconut oil. I'm really enjoying Maison Orphée's organic virgin coconut oil. 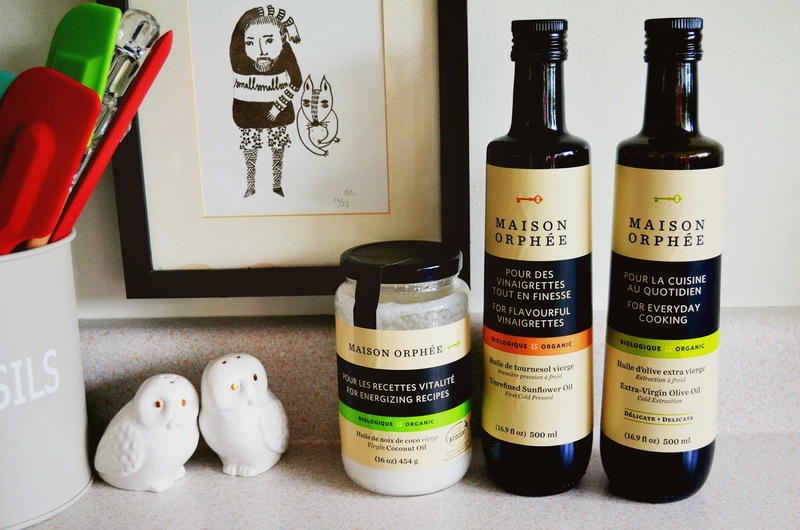 For any other baking, Maison Orphée's organic unrefined sunflower oil works well. All of the company's oils are cold extracted using traditional methods on state-of-the-art equipment. Cold extraction involves crushing the oil-bearing fruits and seeds at the lowest temperature and then gently filtering the oil. The process retains the natural nutrients and flavour. I just love the stylish bottles too. Established in Quebec City 30 years ago, Maison Orphée is a family-owned company that uses organic Canadian seeds. What are some of your favourite healthy products? Are you a label reader? We totally read labels (which is how I know I need to go back to the optometrist lol). Wish they'd come up with an America version of The Healthy Shopper coupon book!! Ooh I used to love that brand Maison Orphée. Haven't seen it since I moved to the States... although then it wouldn't really be local.